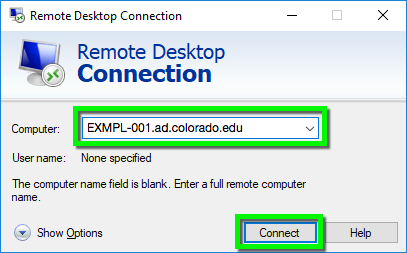 Use the Remote Desktop Connection application in Windows 10 to connect to your work computer from off campus. Before using, you will need to have Cisco AnyConnect Secure Mobility Client installed on your computer, and Dedicated Desktop Support will need to configure your work computer to allow Remote Desktop Connections. Contact your DDS Professional to schedule a configuration appointment. 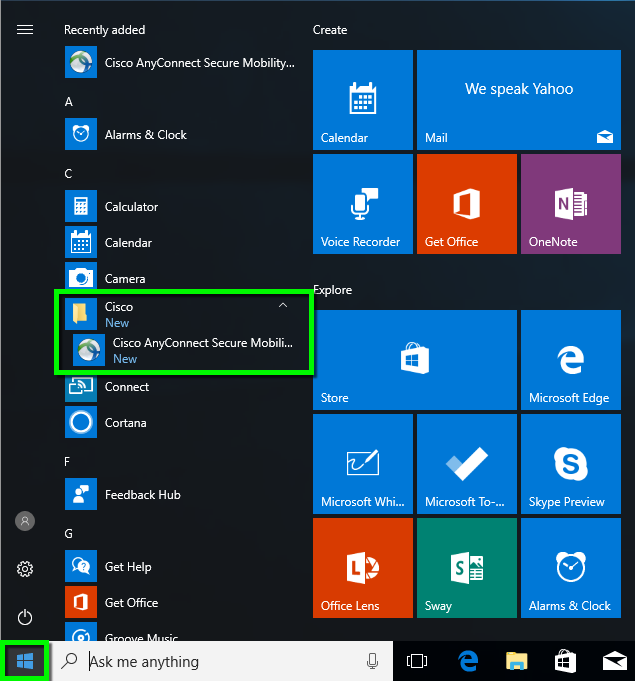 Open the Start menu and click on Cisco > Cisco AnyConnect Secure Mobility Client. *Please Note: If you do not have the Cisco AnyConnect Secure Mobility Client on your computer, visit the VPN page to download and install. 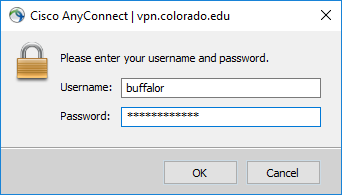 Enter vpn.colorado.edu, or your department's custom VPN, if applicable (contact your DDS Professional for the address of a custom VPN). Click Connect. Enter your Identikey username and password. Click OK.
Re-open the Start menu and click on Windows Accessories > Remote Desktop Connection. 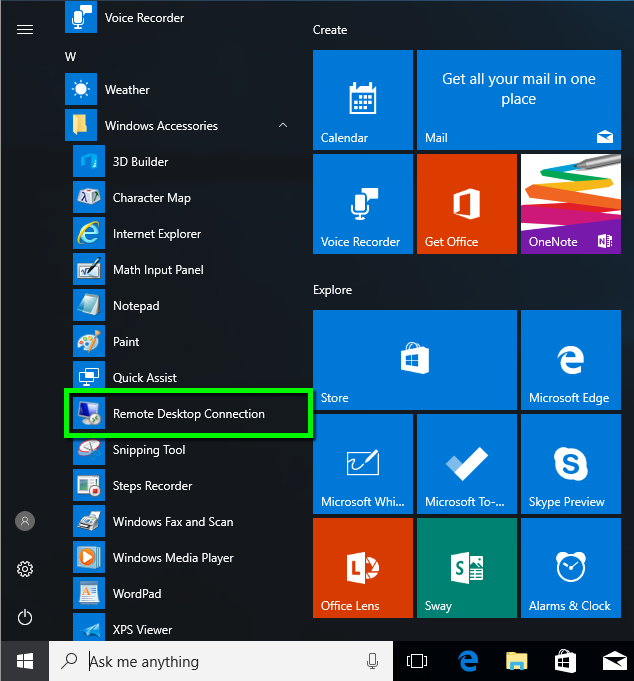 Click the Connect button to finish connecting to the remote desktop application. *Please Note: Your DDS professional will provide you with your computer name when configuring your work computer for Remote Desktop Connections. Contact DDS if you need this information.